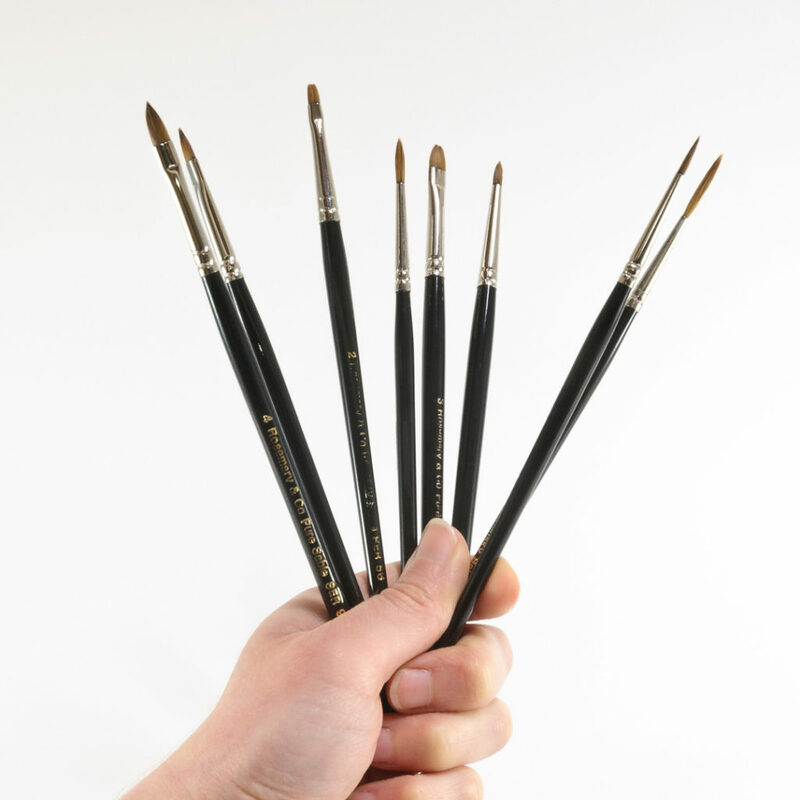 My trusty stable of brushes. In the second of a series of blog articles that looks at the art and craft behind my creative business, I’d like to introduce you to my favourite tools and explore the enduring appeal of handmade craft. Two years ago, I was suddenly made redundant from my job in publishing - an all-too familiar story these days - which eventually resulted in my starting a creative business from my craft. Up until this point, I’d been working as a graphic designer (which as it turned out has proved to be rather useful in the running of my business) but having originally trained as an illustrator, I decided to rekindle my love of drawing and see where this would lead. Over the following months, as my business ideas slowly started to unfold, I dusted off my paintbrushes and began drawing again. Since then, my brushes have become the cornerstone of my creative practice and my most important tools; they are the bridge between what’s in my head and a finished illustration. Brush and ink is an uncompromising medium at first glance; there’s no going back once you commit brush to paper. Each line has to be considered, which forces you to think carefully before every stroke - there’s no re-working, or rubbing out here and little margin for error - but in spite of this (or maybe because of), it remains my preferred medium. In my previous post, I talked more about why I’ve chosen to draw the old-fashioned way and not on a computer, but essentially it comes down to personal preference. It's also worth adding that both take skill and like any tool, a computer is of limited use unless you know how to use it. Hand drawn illustrations of this kind take time; they won’t be rushed. They are also full of the tell-tale tiny, human imperfections that reveal the maker behind the craft and sets them apart from their machine-made counterparts. It’s a quality unique to handmade crafts and something that truly can’t be replicated by machine. As such, I think it deserves to be celebrated. I’d like to give a special mention to another maker; the wonderful team at Rosemary & Co in Yorkshire who make all my brushes. Rosemary has been making artists’ brushes for the past 35 years and is at the top of her craft - enabling people like me to get on with my craft! I’d love to know what you think. Do you buy handmade? Do you like knowing how an object has been made or about the maker? Let me know in the comments!